These five markers confirm your family traditions and lore that your ancestors were Scots-Irish. 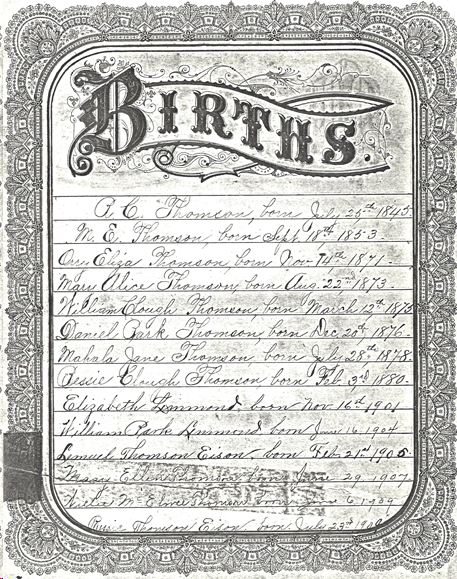 They left footprints for you to follow–clues to document your genealogy. These clues will peg your ancestors and set them apart from others who have the same name or the same migration pattern as your Ancestors. Cousins perpetuated family feuds (called “blood feuds”), even when they no longer remembered what the fuss was all about. Recall the Hatfields and McCoys in Kentucky. Your Scots-Irish ancestors kept their assets and their lineage in the family: when the estate was divided, family wealth descended to family members.